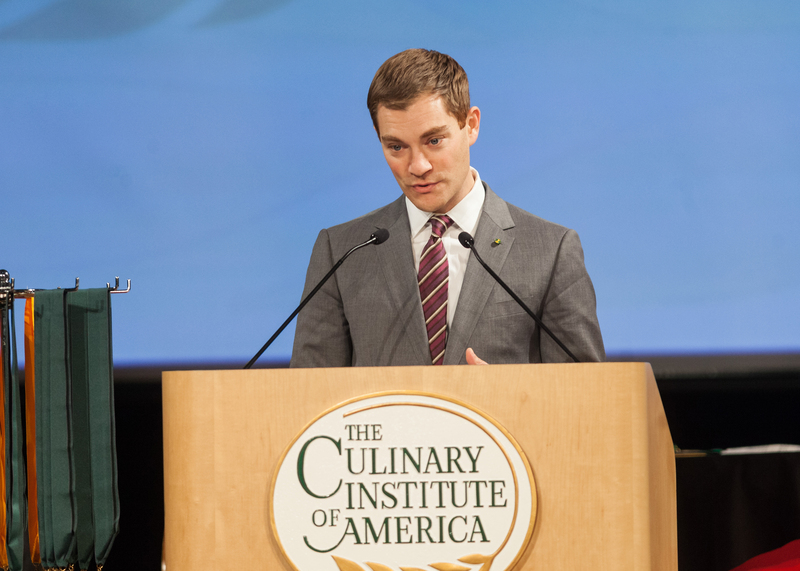 Hyde Park, NY – In a pair of commencement ceremonies at the New York campus of The Culinary Institute of America, 175 new graduates launched careers in the exciting food world. 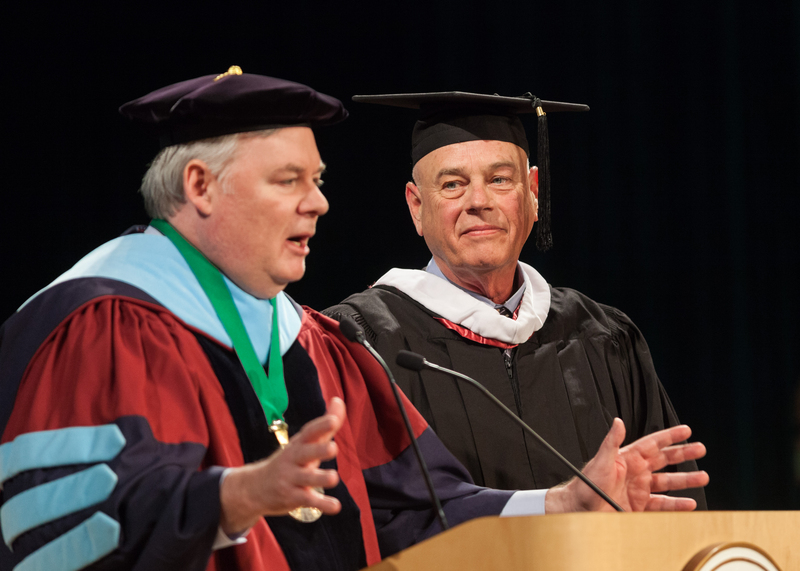 Tony Simmons, whose McIlhenny Company makes Tabasco products, was keynote speaker at the baccalaureate graduation on December 20. The following day, Noah Glass, founder of the New York City-based technology company Olo, addressed associate degree graduates. Mr. Simmons is the great-great-grandson of Edmund McIlhenny, creator of the original Tabasco pepper sauce, and—as president and chief executive officer—is the seventh family member to run the company. Louisiana-based McIlhenny has been a longtime supporter of CIA students; the Tabasco Brand/McIlhenny Company Scholarship is the longest-running scholarship program at the college.